Also available in BluRay format by special order. Select BluRay from the format button. 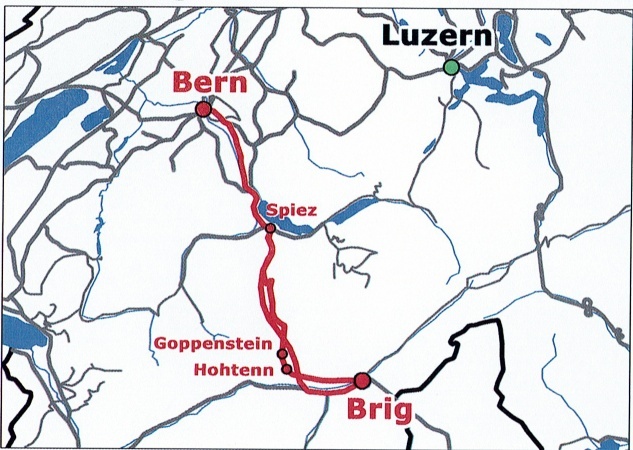 The Lötschberglinie or Lötschbergbahn (Lötschberg mountain railway) links Basel and the North sea ports with northern Italy. 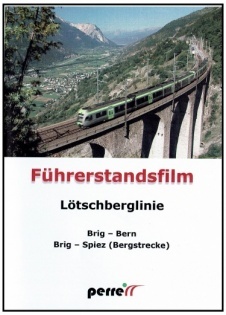 In contrast to its easterly compatriot the Gothardbahn, the Lötschberg does not resort to spirals to gain height over the mountain but runs up a long slit in the mountain before turning abruptly north and into the Lötschberg tunnel itself. A very scenic run! The original mountain railway has been supplemented by a new railway at lower altitude that includes a base tunnel – but the older line is still used by regional passenger trains and a surprising number of freights that wend their way from track to track to utilize the ‘best’ gauge! Both the old and new routes are included in this film. Brig- Spiez (Bergstrecke) 1hr 04' 04"
Bonus Hohtenn- Goppenstein (linkes Gleis) 6' 36"